Susan, Esther, and Daisy started at university three weeks ago and became fast friends. Now, away from home for the first time, all three want to reinvent themselves. But in the face of hand-wringing boys, "personal experimentation," holiday balls, nu-chauvinism, and the willful, unwanted intrusion of "academia," they may be lucky just to make it to spring alive. 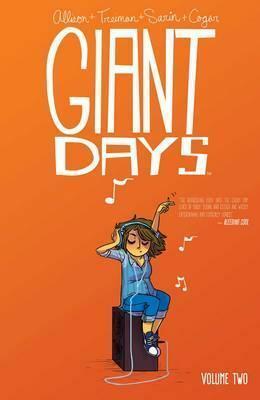 Giant Days, the comedic slice-of-life series from creator John Allison (Bad Machinery, Scary Go Round) and artist Lissa Treiman, has graduated to a second volume.